You want to get the german driving licence? 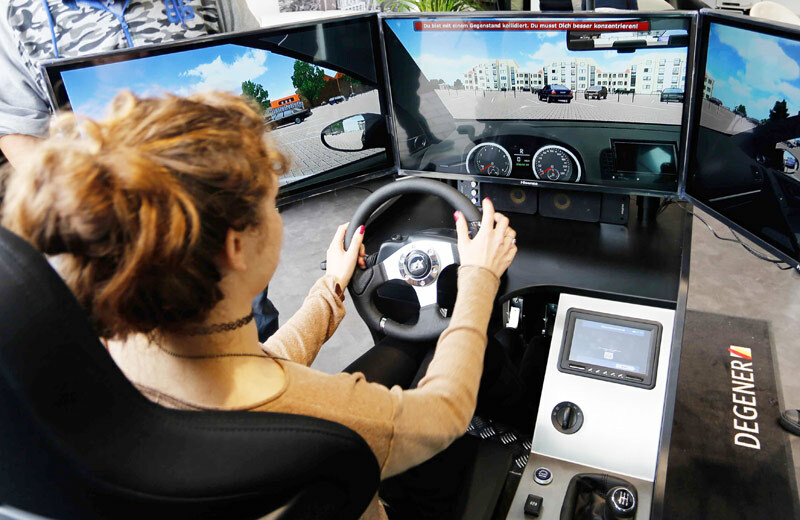 – You can get it at our driving school! You could do it, if you dont’t have any driving licence, or you want the chance your foreign driving licence into a german driving licence. If you want to get an german driving licence, you habe to an registration at our driving school or online. If you habe ANY QUESTIONS…please ASK! We can communicate in different languages: for example english, french, russian, and spanish. You habe to take theoretical lessons. How many you have to take depends at the Class (car, motor-bike, etc.). For example, if you want to get Class B (car), you have to take 14 theoretical lessons. These lessons will teached at our course which startet nearly every month. If you had finsh necessary the theoretical lessens, you have to do the exam at TÜV. If you pass the exam, you will get pracical driving lessons. First of all, you have to get knowledge about the car, and the options of using the functions, and to drive in the city. If you can drive well in the city, you get lessons about driving at country road, highway and in the darkness. You teachter tells you, if you can do the practical exam. At the beginning of your instruction, you have to do an official offer, at the townhouse, in addtion of an form of your first aid cours and of an actual eyesight test, as well as an biometrical picture). You will get the official offer at our driving school. What especially you have to, if you want to chance yout driving licence depends on the country of your actual licence. In some cases, you only have to do a theoretical and pracical exam, and have to give the offical offer at the townhouse (in addition of an form of an frist-aid-couse, an biometrical picture and an actual eyesight test). Sometimes you also need an certificated translation of your actual drivng licence. For this translation you can ask personen of the county court (Amtsgericht) at Heidenheim. They maytell you, what you have to do. The phone number of the county court: 07321 – 38 0. If you have to do an theoretical exam, you get the theaching material at out driving school. It is also in english, and an few more languages. You will get an internet access. You get the official offer at our driving school.